Wanna try the sleek look and feel of Chrome OS on Linux? Here’s a theme to do that! 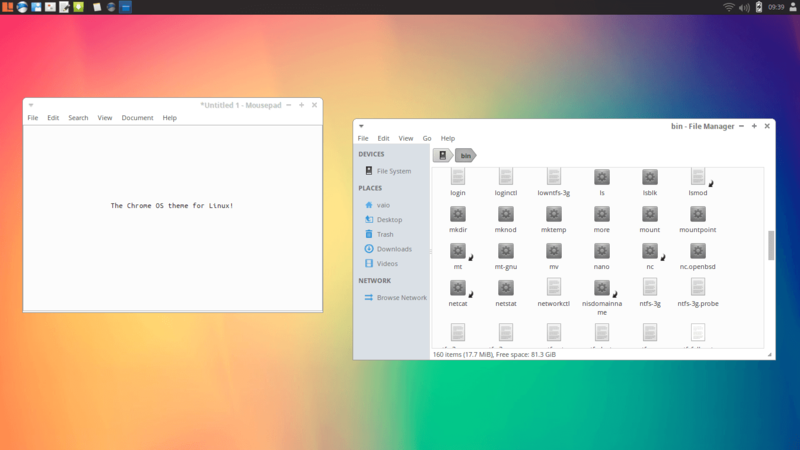 It’s the default Gtk theme on Chromixium OS, the ChromeOS theme. As most of you might know, Chrome OS is Google’s lightweight operating system developed around the Chrome Web Browser. It is a cloud-dependent OS meant for web-based desktop computing, with most user data and services staying in the cloud. and set it from any theme manager app. If you do not have git installed, download the latest development source and extract to /usr/share/themes/. If you do not have sudoer permissions or don’t want to use sudo, you can install the theme to ~/.local/share/themes but the theme will not apply to apps opened with admin privileges, e.g., synaptic or gparted. Hope you like the fresh new look of your system!